Nothing much 'hot n happening' foreseen for Kutcher till August 2016! Time of Birth: 12.30 P.M.
Jupiter will be transiting over his Natal Saturn in the 4th House of his Chart till 11th August, 2016. After this Jupiter will be transiting through the Virgo sign. Transiting Saturn will be aspecting his Natal Moon, Sun, Mercury and Venus in the 9th House, almost during the year ahead. It will also be aspecting his Natal Saturn. Then Saturn will be transiting through the Sign of Sagittarius, which happens to the 8th House in his Chart. Ketu will be transiting over his Natal Saturn beyond his next birthday. He will be under the influence of the major period of Jupiter and sub period of Rahu till 7th February, 2017. Ganesha notes that the majority of planets in the Horoscope of Ashton Kutcher will be under the grip of the transiting Saturn. Thus it is imperative that he should work on refining his skills and polishing his talent. Saturn will ensure that he understands the value of various things in life in the upcoming months. It will not be an entirely smooth path ahead for the super-talented actor. His performances may not get the desired applause of the audiences and his morale may get affected, indicate the stars. He may not get the scripts of his choice in the upcoming months. He may secceed to bring the situation under his control as he will be under the effect major period of Jupiter and sub period of Rahu during the year. Ganesha says that as the major period of Jupiter and sub period of Rahu is in operation and as both these planets are well-placed in his Chart, he will be able be to come up with solutions to the problems that may crop up. Ganesha says that the period post August 2016, when the transiting Jupiter will enter the Sign of Virgo will be a very bright one for him, as there will be a lot of opportunities and avenues that will come his way. This will be a period where he will be able to deliver some of his best performances, says Ganesha. Post Augut 2016, Kutcher's fortune is also likely to strongly support him and this will also help him to bag some good offers. Ganesha advises Ashton to be careful in the matters of heart, at least till January 2017, as there are chances of bitterness seeping into his relationship. 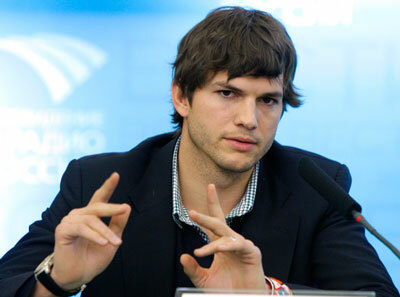 Ganesha wishes a great time ahead to Ashton Kutcher on his Birthday .